LITERARY LOCATION: Tobhta nan Craobh, aka the ruins of Mary MacLeod's house, at Berneray, Hebrides, Scotland. DIRECTIONS. Ruins can be found near the base of a silver beach shaped like a lazy 'S' on Berneray in the Outer Hebrides. The story goes that exiled and silenced seventeeth-century Hebridean poet Mary MacLeod (Màiri nighean Alasdair Ruaidh) was banned from composing any song indoors or outdoors, so she defiantly wrote a song on her threshold instead. Hence Threshold (Leaf Press, 2015) is the name of Marilyn Bowering's tribute to the revered, rebel poet whose songs are still sung in the Hebrides. Bowering's poems are spare tributes, evoking Màiri as a sister poet. Threshold includes an afterword about Bowering's Hebridean rambles to the islands of Harris (burial places of the MacLeods), Berneray (where Mary MacLeod lived), North Uist and South Uist in 2010, and about her history with Mary MacLeod. Those expecting a travelogue for the Hebrides or a Màiri biography must look elsewhere. Mary MacLeod was born c. 1615 on the island of Harris and died at Dunvegan c. 1707 on the island of Skye. Threshold was the co-winner of the Gwendolyn MacEwan Poetry Competition for Best Suite in 2013. The small book includes five colour and 16 black & white uncaptioned artsy, nature photos by Xan Shian (Bowering's daughter) who has lived and travelled in Scotland both with her family and on her own. Marilyn Bowering of Sooke has received many awards for her writing including the Pat Lowther Award, the Dorothy Livesay Prize, the Ethel Wilson Prize and several National Magazine awards. She grew up in Victoria and has lived in the United States, Greece, Scotland, Spain and Canada. Set on the coast of British Columbia, To All Appearances A Lady [see review below] is Bowering's historical novel that predates Paul Yee's 2015 novel as possibly the first work of fiction from B.C. that features Chinese characters as its main protagonists. In this fictional story a white woman ends up on D'Arcy Island near Victoria where Chinese lepers were marooned by the B.C. government, unable to leave, from 1891 until 1924. 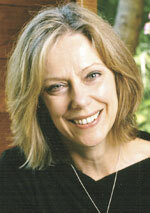 Published seven years later, her second novel Visible Worlds won her the Ethel Wilson Fiction Prize and was shortlisted for the 1999 Orange Prize for Fiction. As a story about two disparate twin brothers who fight on opposite sides of World War II, Visible Worlds spans two World Wars, moving from the streets of Depression era Winnipeg to the polar ice caps of Siberia and into the Napalm-burned forests of Korea. In the middle of a football game, a mysterious light descends from the sky, enveloping the shattered body of an injured player. From that moment on, the world is forever changed. Her third novel Cat's Pilgrimage is another multi-layered, wide-ranging and sometimes disturbing story, this time about a young heroine named Catherine who seeks her father and finds refuge in a Utopian community in England called Smallwood, seeped in mythology and inhabited by a rag-tag collection of lost souls. She discovers the difficulties of her previous life in a small Vancouver Island town with her mother still require resolution. Including 45 previously unpublished poems, Bowering's Human Bodies: Collected Poems 1987-1999 reprints work from her collection about Marilyn Monroe, Anyone Can See I Love You; from her collection about the relationship between George Sand and Fryderyk Chopin, Love As It Is; from Calling All the World, about the launch of Sputnik II; and from Grandfather Was A Soldier, a meditation about death and memory in relation to battles at the Somme and Passchendaele. The volume opens with an appreciation by her publisher and friend Dave Godfrey. Marilyn Bowering's Soul Mouth (Exile Editions) explores the story of childhood and the development of observation, sexuality, and spirituality through their connections to the animal world and nature. Ethel Wilson Fiction Prize, 1998 (Visible Worlds). [Alan Twigg / BCBW 2015] "Fiction" "Poetry"
It's 1941 and Sandy Grey, a university student and air cadet, wants to enlist. When he delivers this news to his parents on Vancouver Island, his father becomes enraged and there's a violent confrontation. With his parents' blessing, the would-be soldier is incarcerated in a Saanich asylum for the criminally insane where electric shock treatments, lobotomies and insulin therapy are all practiced in the institute's East Wing. Sandy's parents are religious zealots who want a robot son made to order, and they've ensured he's gone to the right place. Sandy is housed in the West Wing where a caring doctor uses less barbaric methods to get him to revisit the parentally-inflicted trauma of his childhood. But his attendant, Pete Cooper, is a seething and nasty piece of work, prone to unprovoked attacks on his patients. Cooper irrationally hates the articulate and challenging protagonist in Marilyn Bowering's What It Takes To Be Human (Penguin $26) and he's hell-bent on destroying him. The so-called asylum is an emotional war zone. Sandy Grey has been conscripted by the forces of ignorance and cruelty. Almost all the inmates appear normal and the forces keeping them in are abhorrent. Many are more like prisoners of war than patients. A German, a communist, a Japanese and Russians all long some word of their families. One young prisoner seems to have been detained merely due to his sexuality. Evil wardens and misunderstood inmates. It sounds a little like One Flew Over the Cuckoo's Nest or Shawshank Redemption. But Bowering's storyline also includes, sea serpents, submarines, improbable sea rescues, implausible escapes and Grey's saviour, Georgina, an older woman whose life has also been savaged by her family. Georgina's son's book, The Storehouse of Thought and Expression, focuses Grey in his writing and in his thinking. What It Takes To Be Human also relates the tale of Alan Macaulay, a prisoner from forty years before, who was hanged and buried at the asylum when it was classified as a prison. Macauley was another innocent who was destroyed by a man much like Cooper. Grey is driven to exonerate Macauley and to exorcise his ghost by writing the executed man's story, thereby providing a story within a story. With over a dozen books of poetry, Bowering knows the power of words, and as an award-winning novelist-in 1998 she received the Ethel Wilson fiction prize for Visible Worlds-she knows how to construct plot and character. It's the mark of a master that when reading this novel, you're unlikely to find it cumbersome or unwieldy unless you try to recapture it for others. Sandy Grey is the perfect Everyman. You want the story to end well but you just don't see how it can ever happen; whenever hope arises, it seems Cooper is there to glower and to hate. But then comes a surprise dream-like ending that few writers would ever attempt. Only a pro could write a book like this and get away with it. Canada's size makes it all but invisible, for how can we focus on something so large? Brian Moore and Neil Bissoondath have shone on its cities an outsider's torch-beam. Margaret Atwood, Mordecai Richler, Robertston Davies and Alice Munro have each with their vision and variety, projected a pattern of culture and history crossed with the grain of an insider's touch. And now to their ranks comes Marilyn Bowering, a poet from Victoria, a debut novelist of power and mesmeric voice. To All Appearances a Lady harvests those adjectives which lie limp on publishers' handouts: vivid, absorbing, perceptive, sensitive and spare. It is one book and many: a Vancouver island coastal travelogue; a ghost story, a trek after roots; a poetic monologue, and a history of Chinese struggle and settlement on the western Canadian seaboard. Its steady, sometimes beseeching voice-that of its narrator Robert Lam-belies its drama, for beneath the surface of the writing's energy lurks a threatening sense of fear. It is 1957 and Robert Lam, having recently buried Lam Fan, his Chinese stepmother, casts off aboard the Rose on a journey through the fog and erratic currents, the winds and islands of the British Columbian coast. Thus Lam's rite of passage becomes a complex exploration, an actual journey matched by his quest into the murkier terrain of the troubled past. The ghost of Lam Fan becomes his guide. She is beguilingly created by Marilyn Bowering, more real, more intense, more icily present than the living Robert Lam; exactly right. She perches on the wheelhouse, chiding him, teasing him, a relic who brings him stories of that past he hungers to possess. But revelation comes swathed in mystery-just like the Rose as it nuzzles baffled into the mists around the coast: did India Thackery, Lam's mother who drowned in his childhood, really kill herself? Why had her husband Robert Haack, a misfit criminal and gambler, gone missing just after their marriage? What is the meaning of Lam Fan's confession that Robert Lam's sorrow is "a burden caused by me";? Into this bowel of corruption, squalor and enterprise come the dealers in black-market opium, the addicts such as Lam Fan, the pimps and low-lifers such as Robert Haack, a pathetic fantasist who befriends and betrays illegal immigrants. His life rides the peaks and troughs of melodrama but Marilyn Bowering confounds such simplicity; Haack's heart is crushed, he is weak and slippery, his mind writhes like a viper; yet his demise is strangely moving, for he might have had other possibilities. He might have been Robert Lam's father. That he isn't prompts the question that stalks Lam's thoughts: who are his ancestors? Lam Fan knows. Her tale is tortuous, at times unnecessarily so. As Robert Lam navigates a course between the islands, she bestows her knowledge. Choice and fate are its key ingredients; Robert Lam steers, but believes in destiny. "Fate is a chain of cause and effect,"; he says, as he learns how his mother was cast on to D'Arcy Island off Victoria, a white woman lost among Chinese lepers. Lam himself grows ill during the journey, dark intimations of something serious, even fateful. As the tale unravels it becomes clear that what had seemed like parallel journeys-that of the Rose and its moribund twosome stalked by the story of Robert Lam's forebears-are in fact converging pathways. Lam himself ends on D'Arcy Island, tense in the present: "My legs are shaking with tiredness, and the numbness in my face has returned. "; He is at large among the detritus of his parent's last dramatic years: the charred evidence of a bush blaze, the stench of death, a human forearm and hand, "scraps of cloth are attached to the bones";. "There is always one more surprise,"; Lam Fan says. That surprise is one of the moments of this novel, for Bowering knows that among the poetry and pity of its telling, life itself turns on moments, on those flashpoints of decision, inaction, desperation or collapse. Fate's talons grip Lam's world and make it tragic; yet his final act on D'Arcy Island subverts that grip and is both poignant and heroic. Bowering writes at the edge of her talent; she is affirmative, clear, faithful to life's mystery. To All Appearances A Lady is a marvellous debut, to all appearances a paragon of dazzling imagination. Once upon a Scottish time in the 17th-century, Mary MacLeod was banned from composing any song indoors or outdoors, so she defiantly wrote a song on her threshold instead. Hence Marilyn Bowering's tribute to the rebel poet of the Hebrides, Mary MacLeod, is called Threshold (Leaf Press $20). Bowering's poems are spare tributes, evoking Màiri as a sister poet. An afterword recalls Bowering's Hebridean rambles [pictured here] to the islands of Harris (burial places of the MacLeods), Berneray (where Mary MacLeod lived), North Uist and South Uist in 2010, but it's neither a travelogue nor a biography. Photos are by Xan Shian (Bowering's daughter). Threshold was the co-winner of the Gwendolyn MacEwan Poetry Competition for Best Suite in 2013. Mary MacLeod was born c. 1615 on the island of Harris and died at Dunvegan c. 1707 on the island of Skye.